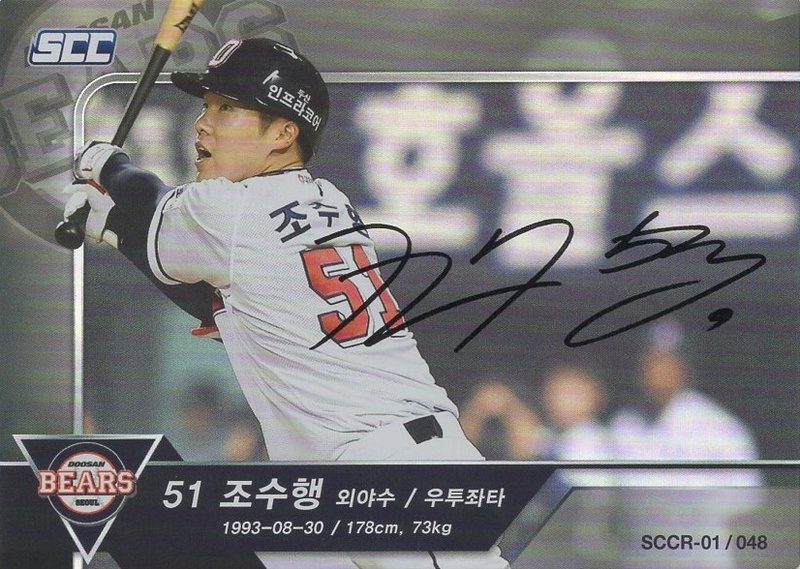 Daewoo Media has released their newest set, 2018 SCC. The boxes cost W23,900 ($22) and come with 30 5-card packs. You can buy the boxes here, Gmarket. Unfortunately the shipping will be $20-$25 via EMS. So expect to pay about $40-$45 shipped for a box. This set is slightly different from their 2017 set. 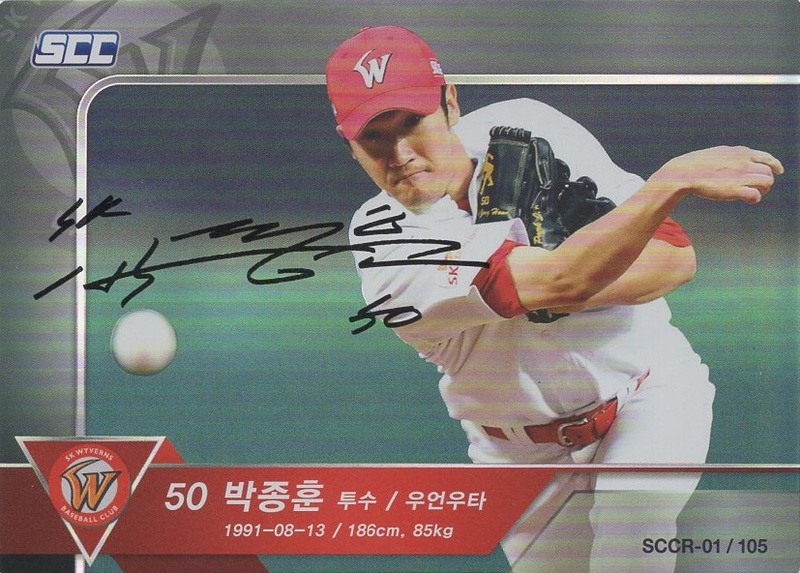 This set consists of 253 cards in total, the last 13 being autos (I believe all to be /10). 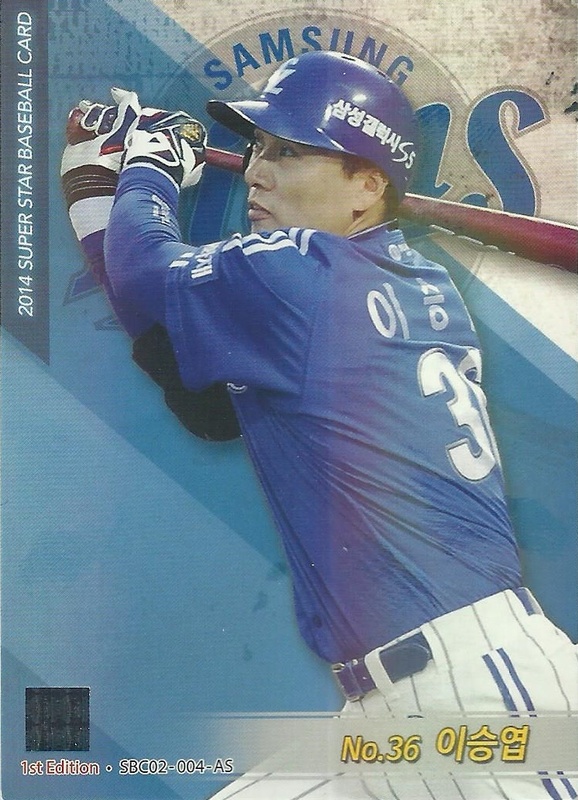 This time around, the set does not have duplicate numbers for players but a straight 1-253 consecutively numbered set. 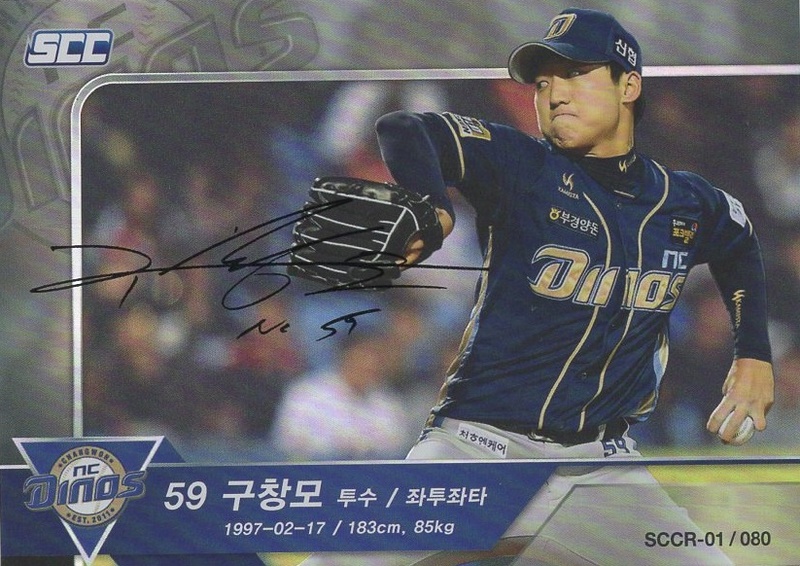 The cards were ordered by the way the teams finished during the 2017 season, with Kia being first for winning the Korean Series. Each team has 24 cards. Each player has one card and the various types of cards are mixed throughout the set and teams. 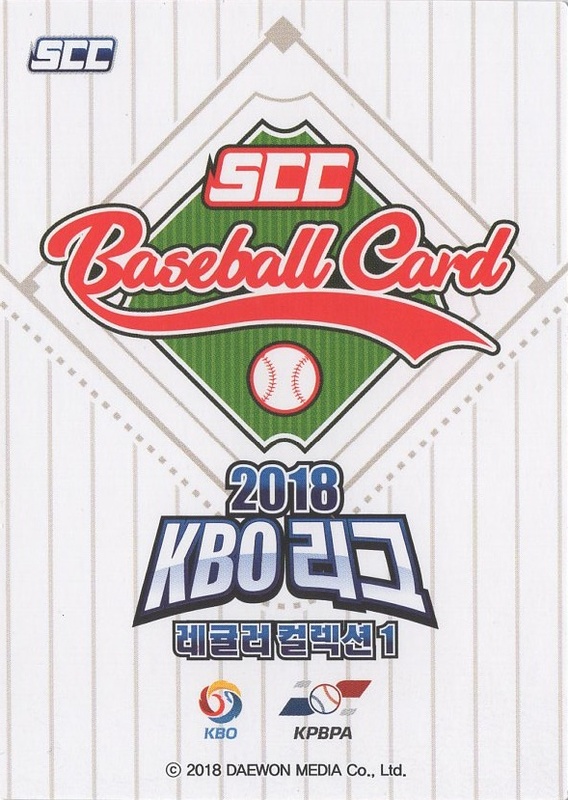 I uploaded the set checklist and images, here 2018 Daewoo Media SCC. 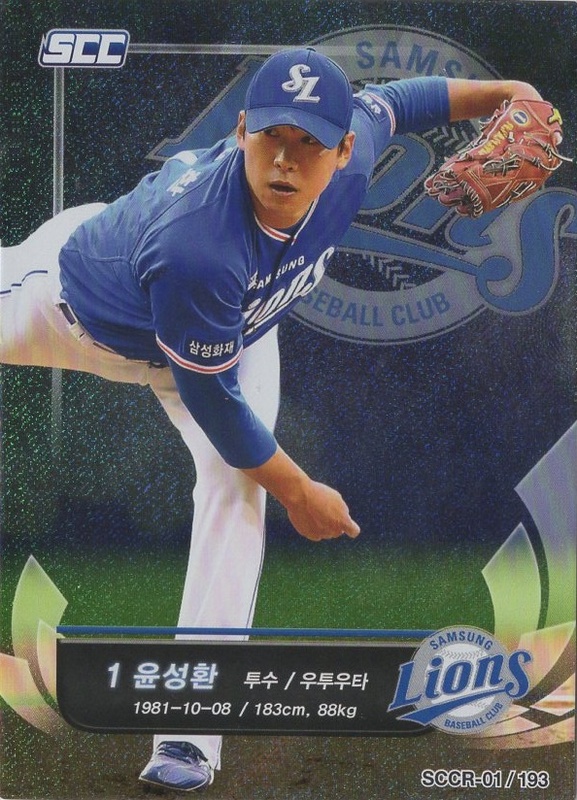 This set includes the usual inserts but this time they have added a hologram card, perhaps the prettiest I've seen of Korean cards. 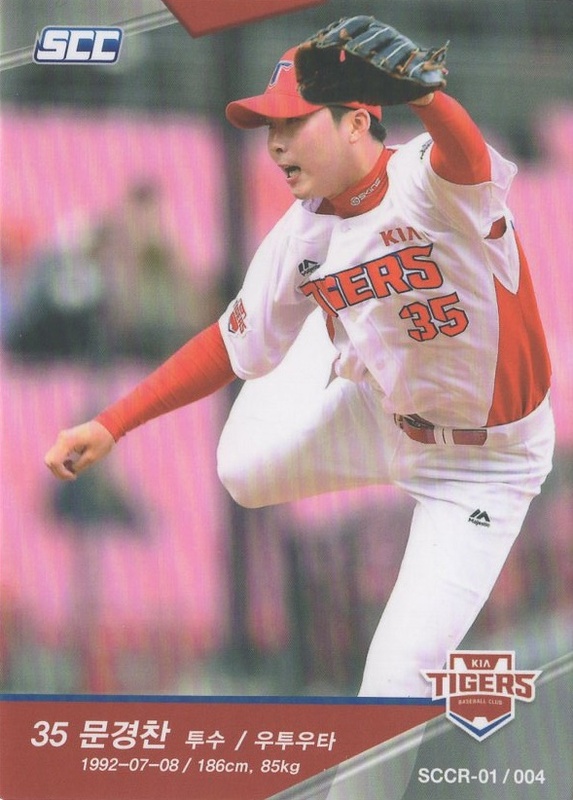 The scans don't do this card justice. I will try to take a phone photo of the card in its glory. The number of each type of card is in parenthesis next to the card heading. All of the facsimile auto cards are horizontal. 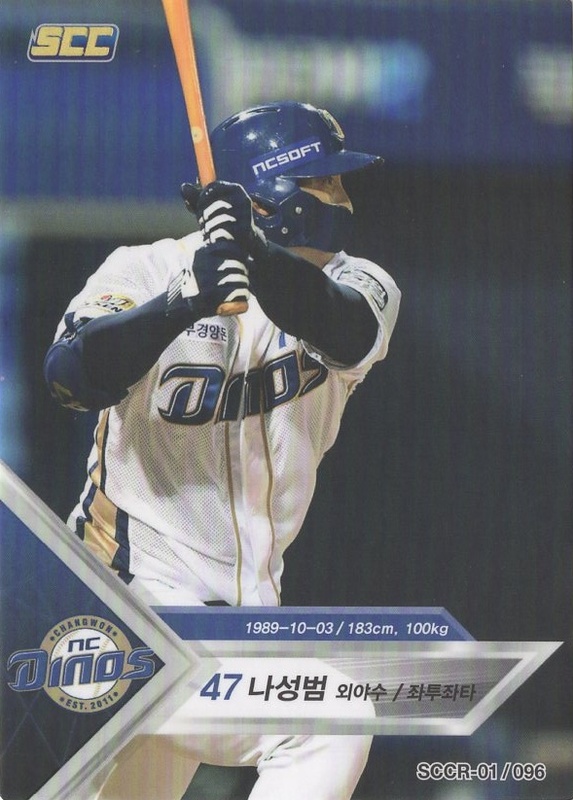 The worst part of this set is that they used a logo for the back with no statistics or photos of the player, like in the 2014 Duael Ntreev sets. But at least that makes it easier (less time) to scan these cards. 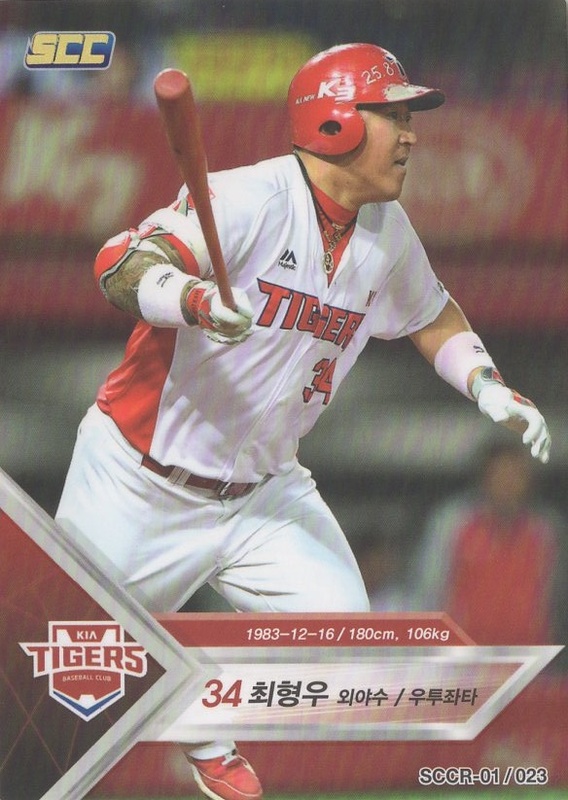 The "rare" inserts are the same as in the 2017 set. 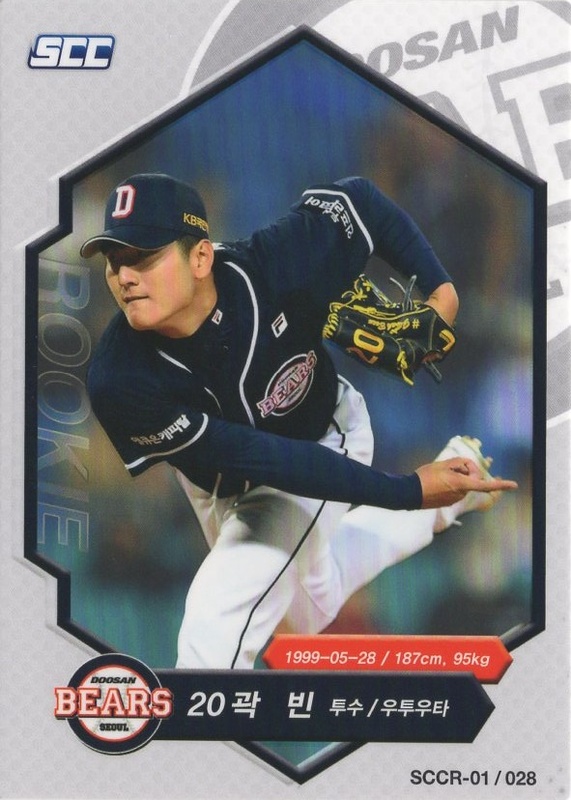 I wish they would have put some of the star players used on these on the "holo" inserts instead, like in the case of Ja-Wook Koo. These are the prettiest cards in the set. 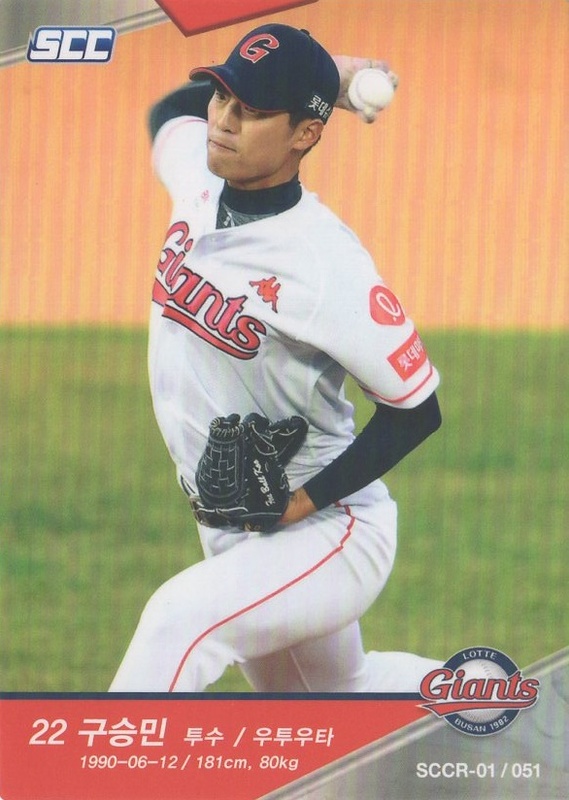 I especially love the closer portraits that have a likeness to the All Star cards from the 2014 Duael Ntreev Super Star Season Two set (below). 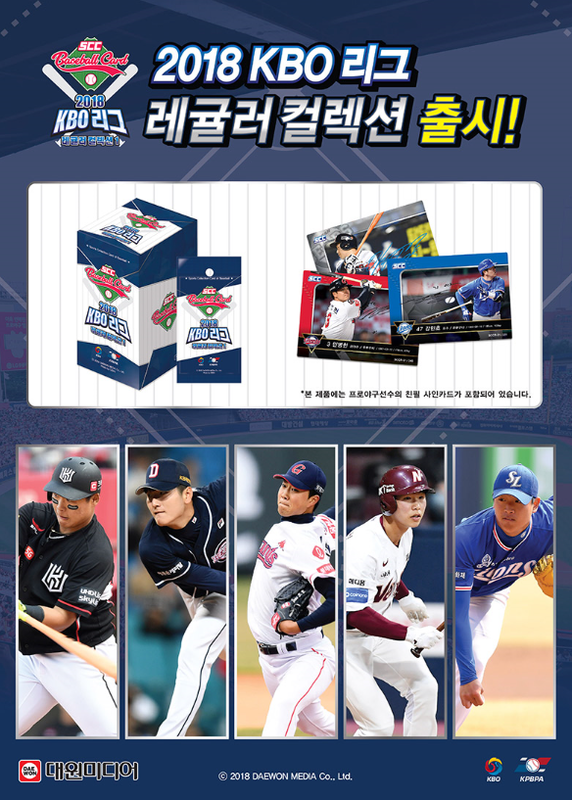 There are nine (9) rookies in this set but NC and SK have none, Lotte has two and the remaining teams have one each. 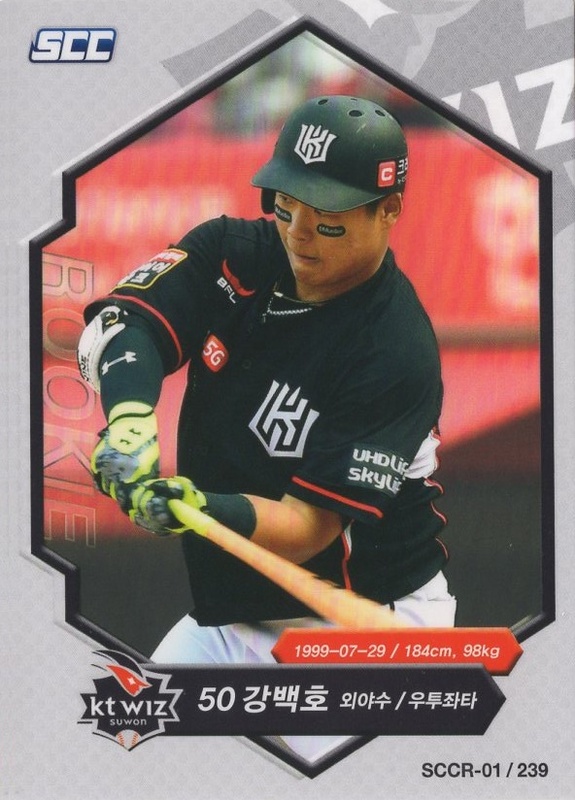 Baek-Ho Kang of the KT Wiz is the big, star rookie this year. This set is the first set I didn't buy boxes for when building a set. I bought the set outright from a Korean friend who bought a case or more of these boxes. My submission was received on 8/1/18 by PSA. 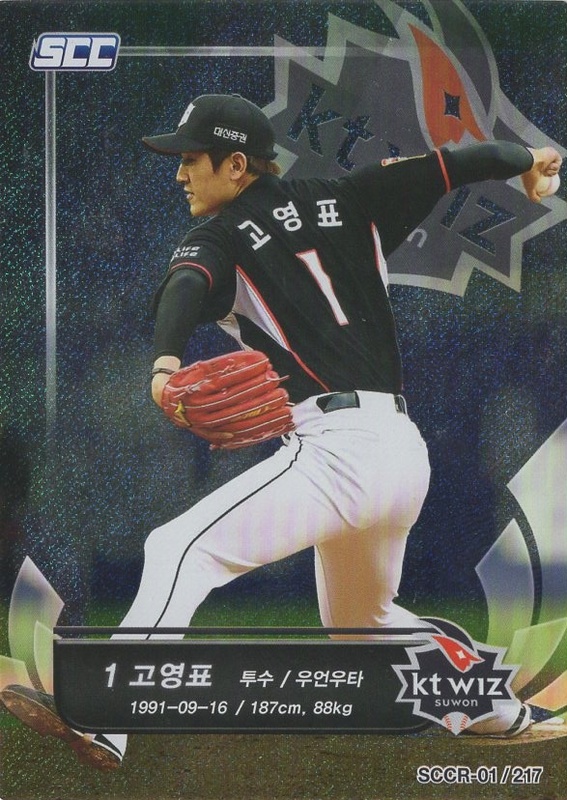 It included 128 Seung-Yeop Lee cards and 1 Min-Ho Kang /10 auto card. I feel a vast majority should be 9s and 10s (as I received them from Japan) but who knows. I do know some aren't perfect, like relic cards with snowy corners. 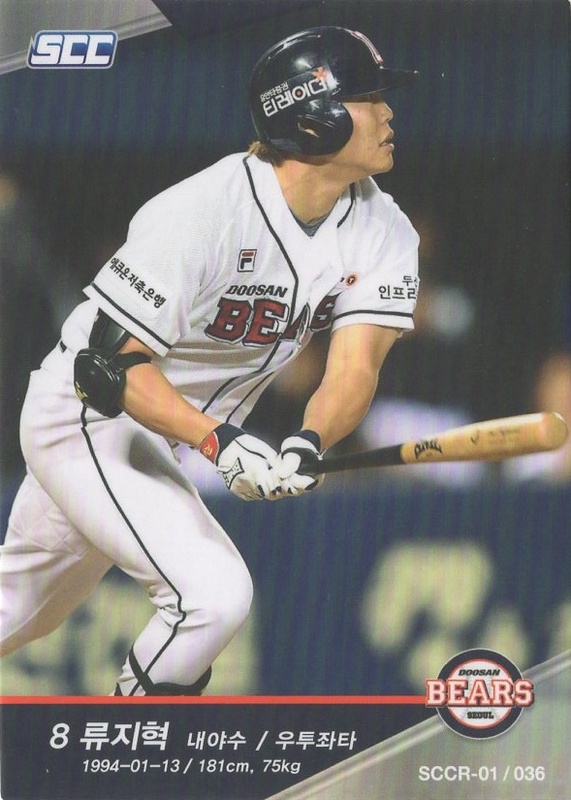 I wanted to have all of his cards slabbed for the registry and most will be POP 1s, so I am excited about that. 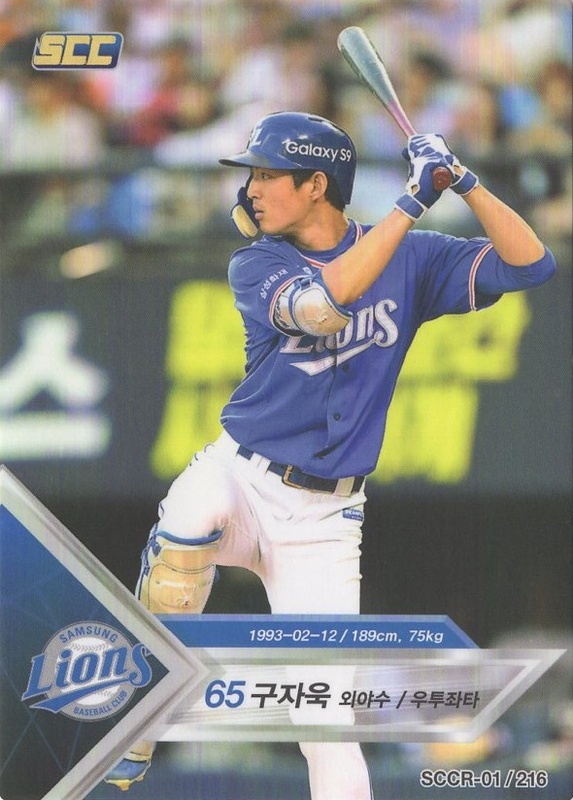 A friend even suggested that I contact the Samsung Lions to display them at a later date, if I ever receive them in hand. Samsung had a tribute to Lee after he retired after the 2017 season so I have a feeling they would pass on the idea simply because the tribute already happened. I am working on another sub that I need to mail off by the end of the month to get the 50-card sub pricing, which is rumored to end this month. 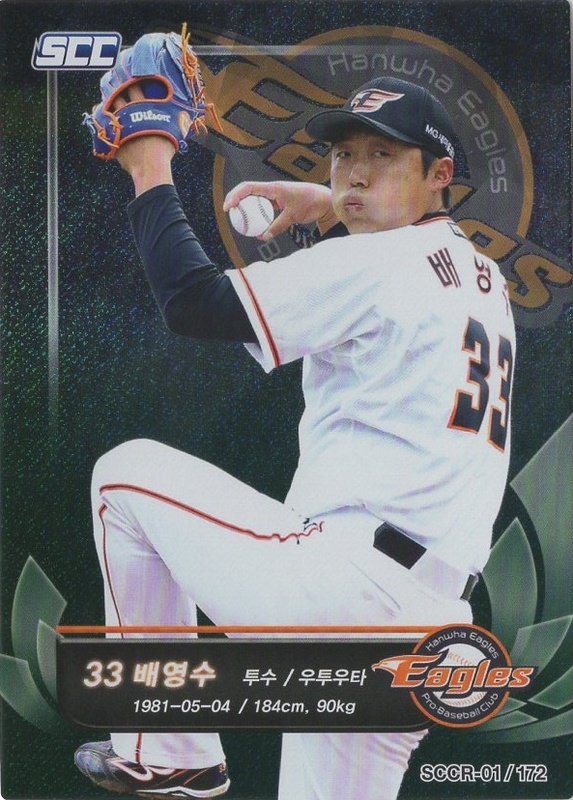 The 50-card sub would include more Lees, other Korean rookies, and some of my PCs like Mattingly, Buehrle and knuckleballers for a friends collection. 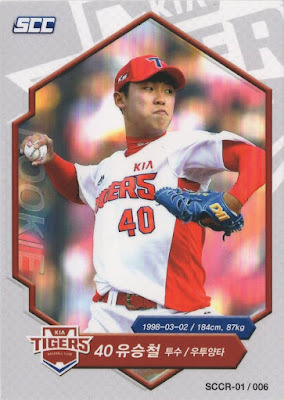 I am also trying to purchase some of the 1999 Teleca sub-set rookies for Lee as well as a few other cards of his that I was missing.